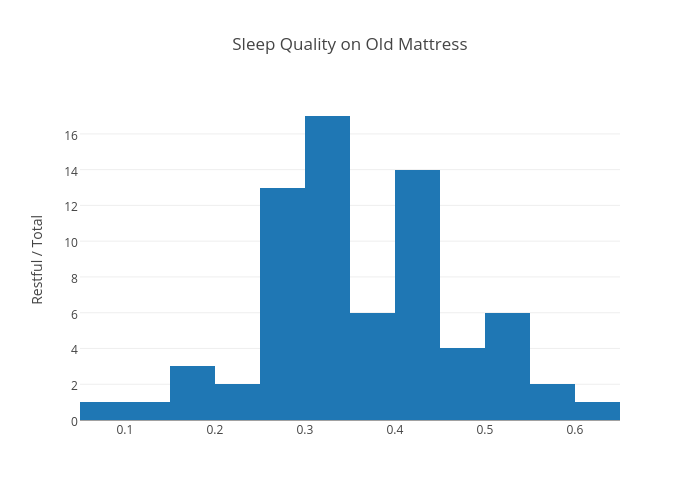 Alexzheng's interactive graph and data of "Sleep Quality on Old Mattress" is a histogram, showing Restful / Total; with Restful / Total in the y-axis. The x-axis shows values from 0.050000000000000044 to 0.6499999999999999. The y-axis shows values from 0 to 17.894736842105264.